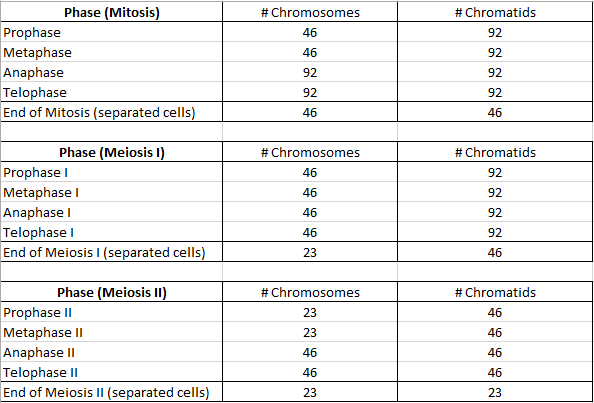 A topic in biology that many students find challenging (and is known to appear on the DAT) is the number of chromosomes and chromatids present during the various stages of meiosis and mitosis in eukaryotes. To first clarify this topic, it is first essential to understand some basic definitions. 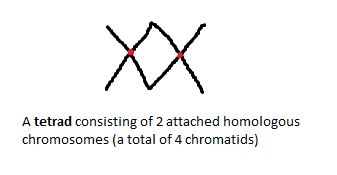 Chromatin is the general packaging of DNA around histone proteins – this arrangement of DNA helps to condense DNA to fit within the nucleus of the cell. Throughout most of the cell cycle, DNA is packaged in the form of chromatin. However, during mitosis and meiosis, chromatin exists in an additional level of organization known as a chromosome. Chromosomes are an even denser packaging of chromatin that are visible with a light microscope, particularly during metaphase. Chromosomes can exist in duplicated or unduplicated states. 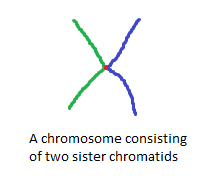 At the beginning of mitosis, for example, a chromosome consists of two sister chromatids – chromatids are the term used to describe the chromosome in its duplicated state. 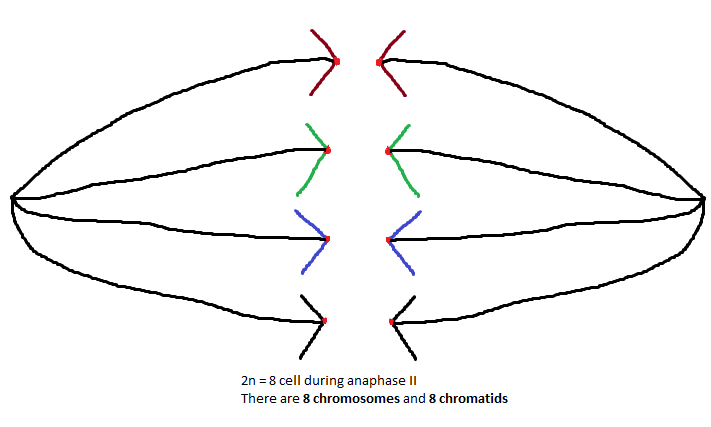 Let’s try to tie all of this information together and see how it applies to chromosome and chromatid count during the various stages of cell replication. 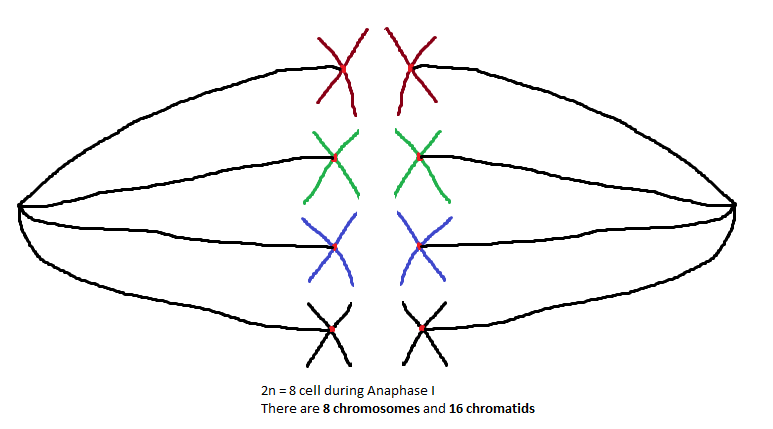 As the above image shows, there are 8 chromosomes present, but 16 chromatids. 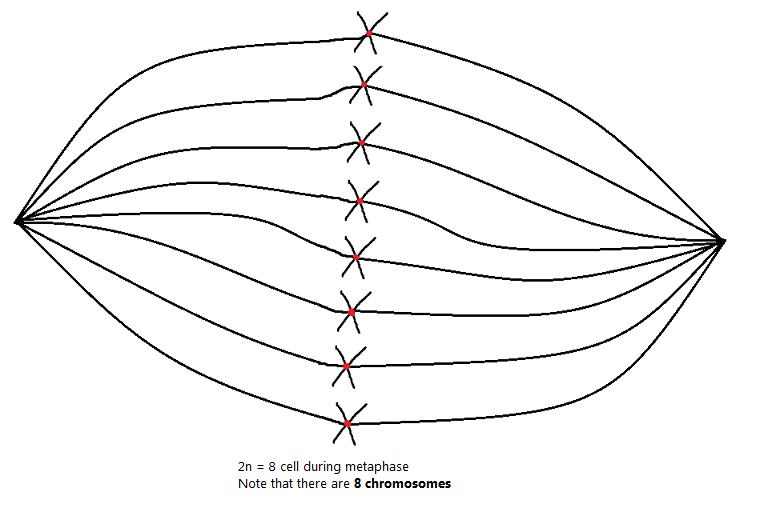 Similarly, in humans (2n=46), there are 46 chromosomes present during metaphase, but 92 chromatids. 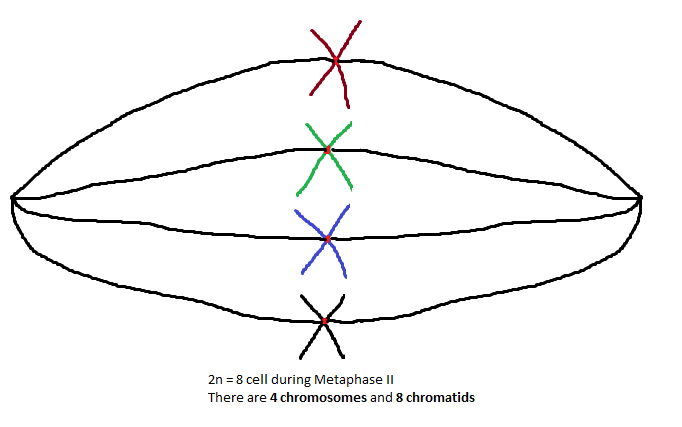 A quick tip: notice that during the stages of meiosis and mitosis, the chromatid count never changes. 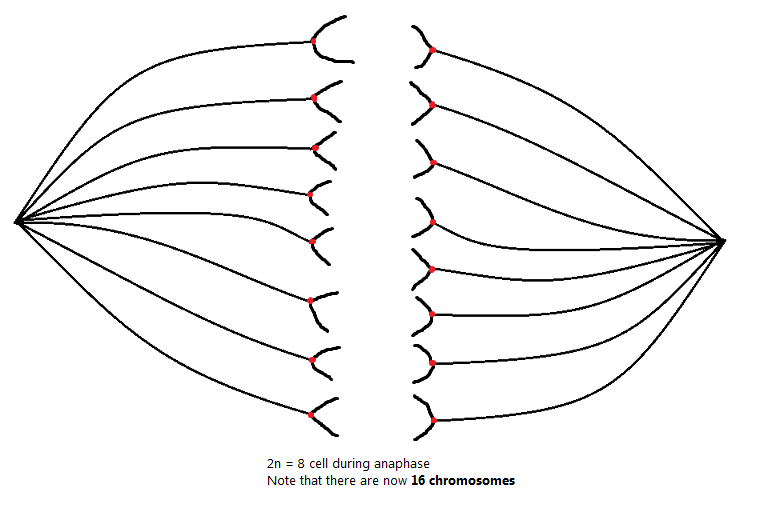 Only the number of chromosomes changes (by doubling) during anaphase when sister chromatids are separated. 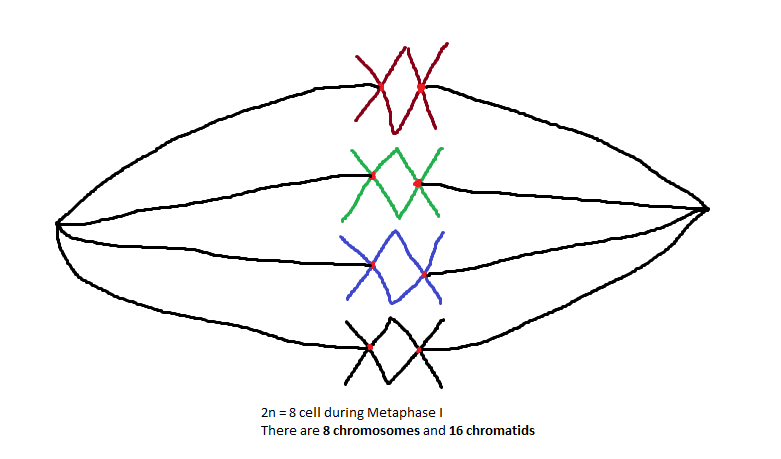 During meiosis I, neither the chromosome number nor the chromatid number change until after telophase I is complete.